tech start-ups and bargain shopping. of the main attractions for western travelers. Thailand still is more than what bad press and tourist trap hype profess. It is always a gorgeous holiday destination where you can enjoy the off-grid beaches more than the resort beaches, have fun in the northern town of Isaan more than staying in the urban nightmare gridlocked traffic of the capital, and enjoy the kind of treats that the country offers generously--smiles, delicious and cheap food, bargain shopping, and hidden opportunities for doing legit business. in malls but in river markets. The country is known as the Land of Smiles but Thais are no pushovers for the type of tourist looking to take advantage of more than just a warm smile. Bad press as of late about rowdy "farang" (white foreigners) getting hurt or worse, losing lives under shady circumstances should not deter ASEAN members from knowing better. If you are in the country to explore the underside where danger is real you will encounter exactly what you fear most. Looking for trouble anywhere is stupid. 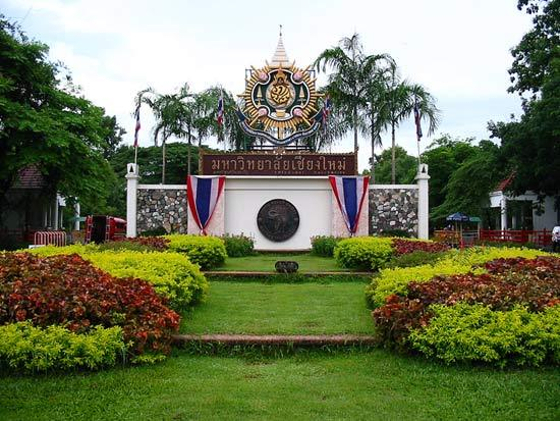 Chiang Mai is a laid back, university town with enough with urbane comforts like sports bars and art galleries for expats, coffee shops and nightclubs for trendy adults or EDM dance clubs for the partying student community. It was the former place of a regional ASEAN sports festival and is now slowly growing into a hub for tech start-ups and attracting expats wanting to stay and live in Thailand. looking to get the best technical education in an ASEAN school. The town center has a 2 square kilometer stretch of the most temples in Thailand--Buddhist and Khmer types--gold spired and with Mushushu dragon lions at their entrances. The area is part of the former capital of an ancient Khmer kingdom with stone ruins of fortresses and temples. Backpackers who use Chiang Mai as their pit stop into the northern ASEAN off-grid paradise of geographical Laos and Cambodia enjoy their time at some of the local reggae and rock bars that are also in town. For expats scoping the place for a stint and some downtime, rent in traditional northern Thai houses cost around $80 to $140 per month but you get clean bathrooms, WIFI and television. You can rent a bike for less than $20 a month or buy a motorcycle for $500 (used) and up--which is the most popular means of for going around any country in the ASEAN integrated community. hired transport going around in Thailand. For public transportation you can ride or hire sawngthaews: red trucks with rows of seats in the back almost like jeepneys in Manila and they also have motorcycles outfitted with cabins like a motorized rickshaw called Tuk-Tuks. Chiang Mai staying expats can enjoy both a frugal existence just chowing on fresh pineapple snacks and rice and omelet pack lunches every day, or dine at local restaurants and eateries that serve world renown local dishes like curries, soups and noodle dishes--and even western fare such as pizza, hamburgers or tacos. The local expat group is supposed to be close to 30,000 and counting as more start-ups choose Chiang Mai as their off-capital homebase--since they can source staff from the local student community. Many expats or foreigners who drop by to enjoy an Asian (ASEAN) stopover-staycation, while working odd jobs to support their stay find plenty of work as English writers for website work or publications or as part-time teachers in ESL schools (ranging from $500 to $800 per month), or at the seven international schools (where pay is around $2000-3000/month). 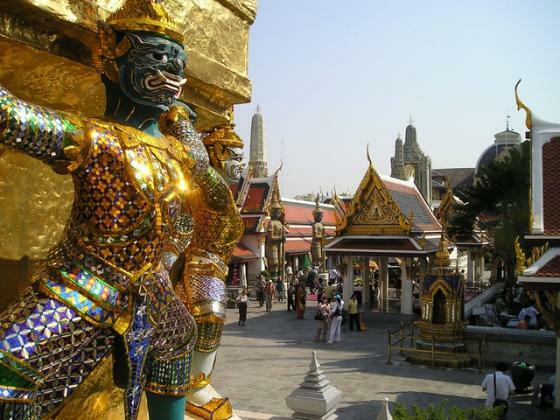 Thailand is a close second to Singapore as a start-up hub for tech companies. Siam Startup is the local website that pinpoints all development and news updates on the Thai start-up scene. The government is already putting up Bt 100,000,000,000 as infrastructure fund for making the Mekong Delta region, the place with the most reliable and fastest internet. 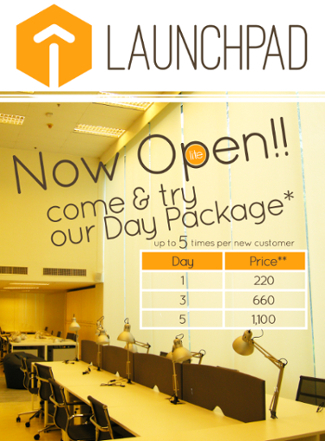 Two shared workspace hubs that are running in Thailand include Hubba, and LaunchPad. A projected 52 million active internet usersby end of 2013 which is nearly 75% internet penetration.of the local market should generate plenty of opportunity for tech-start-ups since many Thais are already using smart-phones. LaunchPad comes equipped with 120 work-desks, 5 modern meeting rooms, a spacious rec area, a game room with a ping-pong table and gaming consoles, a meditation area with noise-insulated walls, leased-line internet, and an artisan coffee shop. It is open to everyone, from freelance content dudes or programmers, people looking for off-site, alternate working environments, or bootstrapped startups. LaunchPad also has in-house, start-up mentors who can assist start-up entrepreneurs and guide them through the process of keeping their ventures going. Start-ups in the ASEAN revolve mostly around e-commerce: good payment solutions, reliable logistics networks aka roads and courier services for sending products to remote locations fast and safe. Infrastructure and logistics in place help a country get its e-Commerce industry running smoothly. Places like Indonesia and the Philippines are archipelagos so delivery of orders may take time--while places like Laos and Cambodia are still in the process of getting package delivery services going. Big venture capital firms like Ardent Capital have poured more than $ 200,000 USD in regional startups and have almost 15-and-counting, seed-stage start-ups working with them--mostly e-commerce businesses. According to YourStory.com, Japan’s Cyberagent Ventures is reportedly setting up shop in Thailand too. Only Singapore is ranked as a place with A-type ventures going because start-ups in ASEAN and in the region are handicapped by entrepreneurs who lack fundamentals and basic understanding of what it takes to build a venture. Entrepreneurs who just have the capacity to put together a business don't cut it for tech start-ups because building a client base, marketing your business, keeping a competent team together, managing cash inflows and making the business profitable as it grows over getting more angel funding is one's lifeline to even survive. It doesn't mean ASEAN tech entrepreneurs cannot learn or be smart enough to succeed but without meaningful experience with tech start-ups, chances are you won't bring the best people together, may not scale up when the time is right. 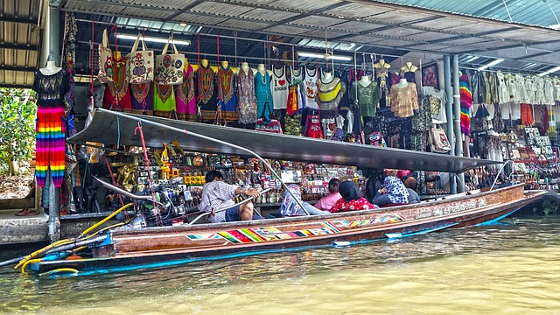 Thailand and ASEAN countries like Vietnam are known for their postcard perfect floating markets. There was a time when canals where the only way to move anything around the country and people traveled mostly by boat. Most holidays to either country (Vietnam and Thailand) isn't complete without a visit to a river market with boats selling you tropical fruits and vegetables at touristy prices--some river markets are staged for tourists--but you can find a better river market shopping experience by going where the locals go--out in Amphawa. soups and fresh fried squid and shrimp for cheap. 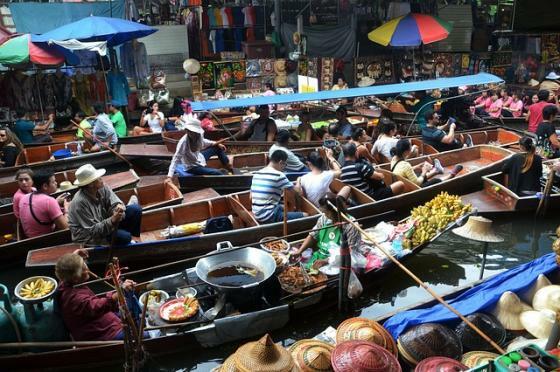 Outside Bangkok, where even the locals flock to the renown Damnoen Saduk floating market (2.5-hours away), you may look for the the weekend evening Amphawa floating market (1.5-hours away from Bangkok). 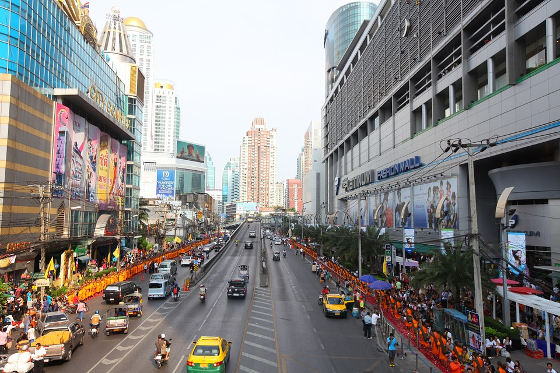 It is the preferred river market among domestic Thai tourists, and is open from Friday to Sunday evenings--busiest on Saturday evenings after 5pm. In the area, you arrive at a bridge where 6-7 boats are parked and selling visitors cheap seafood dishes for fast snacks: fat fried crab with chili vinegar dip, fresh fried prawns, fried squid with lime vinegar dip, shrimp tossed with vegetables and jasmine white rice, and everybody's favorite pad Thai noodle dishes in small ceramic bowls--the boat runners even hand the food bowls over to you at the benches right on the embankment. The rest of the riverside market are shops on the riverbank: makeshift pasar-malam style kiosks or a tiangge alongside teak shop houses extending deep into Amphawa town. The loot here includes I love Thailand T-shirts, magnets, clothes, shoes and accessories at cheaper than Bangkok downtown with a little bit of haggling. Some boats sell fruit and vegetables from the local orchards and fields. The Thai handicrafts, woven cloths and blankets, and woodcraft art and paintings are locally produced--goods you won't find readily in Bangkok’s markets so grab what you can when you see em. From Amphawa, you can have a boat trip to a nearby temple like the Wat Bangkhae Noi and Wat Bang Kung Buddhist temples. Overnight accomodations are available via home-stay offers among locals where sharing meals with the local family and enjoying a slower-paced countryside life is what backpackers relish. You can spend river holidays checking out the famous Amphawa firefly show at nightfall--gathering around the canals so an evening boat trip allows you to see living Christmas lights on the river rushes. The local boatmen use the fireflies as a beacon guide paddling their way home down the river. 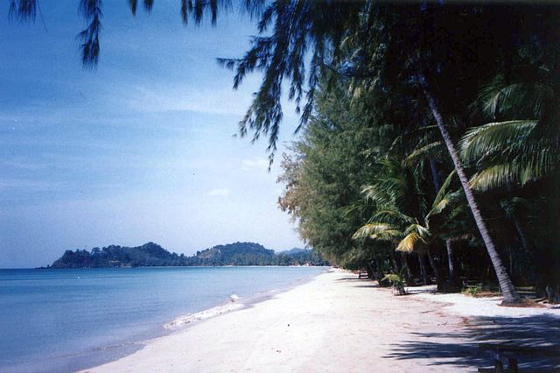 Staying safe in Thailand if you are on the kind of holiday where you just surf or sun at Thailand's legendary beach hotspots should be easy if you keep your wits, stay courteous with everyone, and enjoy your trip. The better holiday option of course is to go off the beaten path and find similar island places that are still safe yet are not hobbled by tourist trap development. Hidden a few kilometers south of the third largest island off Thailand is Koh Chang, the second main beach of the island also known among locals as Lonely Beach, a place where you can still rent low cost bungalows and enjoy a hammock, snorkeling, diving, elephant treks and frolicking near several hidden waterfalls inland. There is a nearby town with a few small bars and beach party events but only one nightclub in the area so that cuts down on the kind of trouble you don't want to get into. 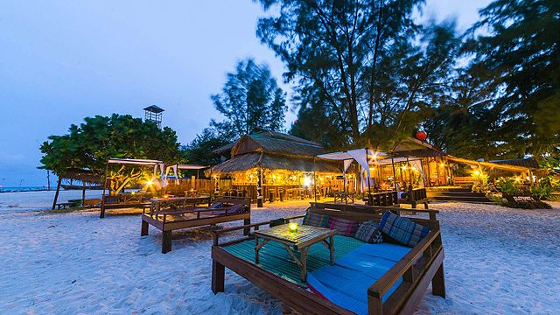 A tiny island reachable by boat from Phuket, Koh Lipe has 3 white sand beaches, a few minutes walk away from each other--the area is just outside a National Park boundary and there are no nightclubs around so it's just you and your tent if you camp out for the evening. Wat Phra That Phanom – north-east Thailand's largest and most revered temple is located in one of the most remote rural provinces in Thailand. A middle-of-nowhere, amidst cliffs in the mountainous north near Laos and Vietnam--Isaan Province. It is the farthest Thai border community untouched by tourist development where almost no one speaks English. Like a Miyazaki Asian town trapped in time where the people live off fishing, weaving silk, growing food and trading crafts and weavings with Cambodian and Lao traders up north. The place is also where most of the ancient Khmer ruins and Buddhist temples from the 10th and 13th century stand in silence. One of the pulls of Isaan as a holiday destination or expat hideaway are the stunning views across the Mekong River to the mountains of Laos--living off-grid has to count for something--the grand vistas of where you live being the foremost among them. Traveling from place to place in Isaan to enjoy the sights or to trade stuff with the next sleepy market town is a time-wasting trip worth the trouble because of the scenery you encounter as you move from one part of the frontier area to another. If you are looking for an escape where slower means taking it all in and not having to bother with tourist traps, Isaan Province offers opportunities in off-grid and survival gear trading plus an expat destination for exploring low cost relocation options in a safe environment. Thailand has been getting bad press for so many unfortunate events that are actually caused by rowdy partying foreigners, most of whom tried to take advantage of the locals but got burned. 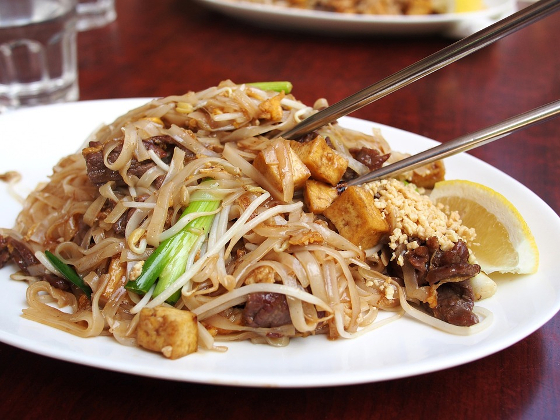 Thais treat you well if you are courteous, offer good business and cultural exchanges, and it is good discretion to have honest respect for everything Thai while you stay in their country--it is when you run into the seedy side that you get into more trouble than it is worth. Bear in mind that going anywhere in Asia nowadays, you need to keep your wits, err on the side of caution, and try to keep yourself out of trouble by knowing what to look out for when you are traveling in a foreign country. With that out of the way, Thailand is still a very good place to find friends and business partners who can be of mutual assistance for growing in the ASEAN.